“Mouldy Old Dough” may also been known as the British Banger racing song that is played on the rolling lap of every Spedeworth meeting. The singer repeats the words Mouldy Old Dough throughout the song in his roughest voice, somehow it works! Until recently the song name and group had alluded me though. I could play the tune in my head, but didn’t have a clue what it was called. 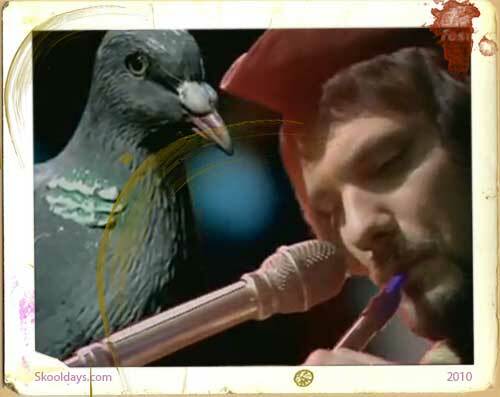 Then while watching Kate Humble on some BBC bird programme about breeding pigeons on a sunday afternoon, I suddenly heard this amazing early seventies anthem. “Mouldy Old Dough” was written by Nigel Fletcher and Rob Woodward and produced by Woodward and Fletcher, under the name of their other band, Stavely Makepeace. Amazingly Jarvis Cocker once on BBC Radio 4 Desert Island Discs chose it as one of his songs. Since 1972, The tune has been played over the tannoy at the beginning of Oldham Athletic A.F.C. home games. Although it’s first released flopped, BBC Radio 1 DJ Noel Edmonds chose to push it in the early seventies and it finally became a hit in the UK, spending four weeks at the top of the UK Singles Chart in October 1972. It sold 790,000 copies. We will be looking at other great Spedeworth songs over the coming few weeks. Let us know if you remember any old songs being played at your Stock Car / Spedeworth events. This entry was posted in PopMusic by Skooldays. Bookmark the permalink.